What: According to this thread on LittleRubberGuys.com, these come from something called the "Space Ace Robot Playset" sold as merchandise tied to the Space Ace video game by Don Bluth Studios (which also created the Dragon's Lair video game). None of them appears to be a robot so the name is a bit misleading, and I'm no expert on Space Ace, but it doesn't seem like these characters can actually be seen in the game (which makes me wonder if they were initially sold as something else or created for another purpose). 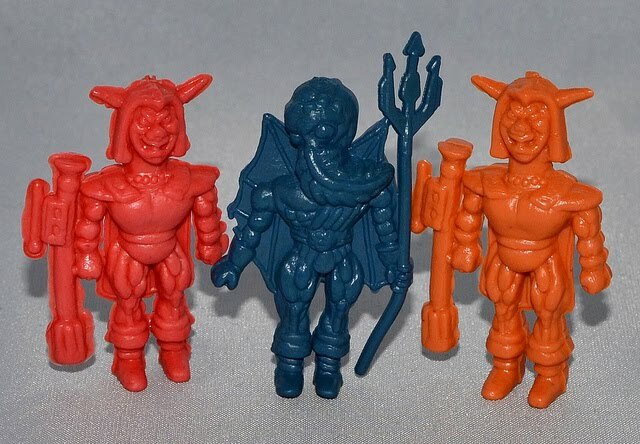 The guy in orange and red also looks to be a Blackstar character, but he seems to go along with the others so I'm guessing he was offered in the Space Ace set as well. In any case, they're cool little guys with a lot of character. 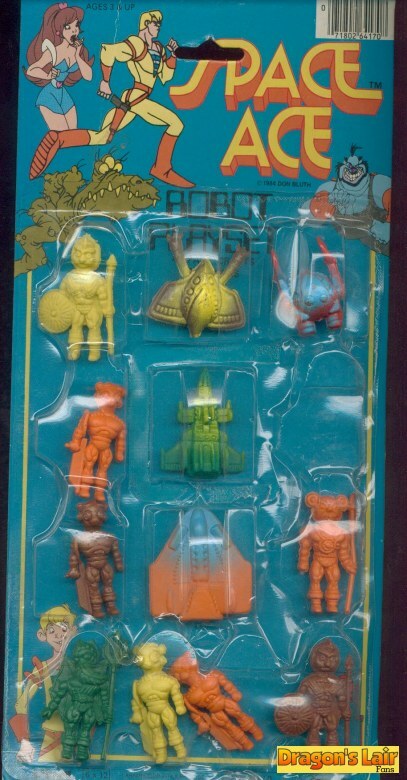 You can check out a picture of this playset carded (which shows some sculpts additional to the ones above) here. some of these share the same body and weapons as the Black Star mini figures. So unless these were borrowed legitly, they gotta be boots. 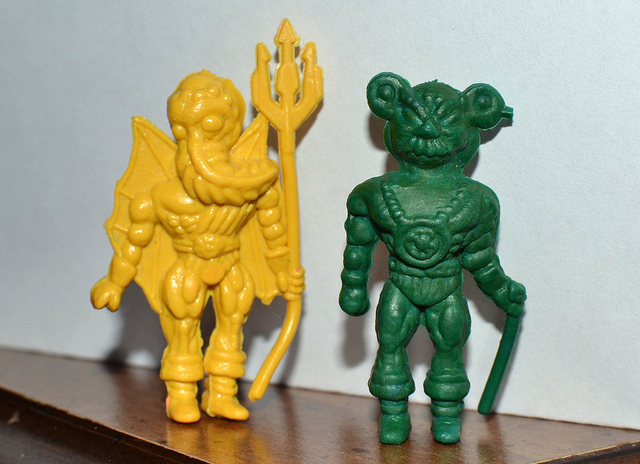 I have the Tongo Black Star mini and that Koala Bear one shares his body and weapon. The Space Ace figures are smaller, but as you say a bunch use parts of the Blackstar figures. I'd guess the Blackstar figures came first.